The second production in our Behind the Curtain series, La traviata: Behind the Curtain takes an expansive look at the historical, social, and even medical context of Verdi’s masterwork. 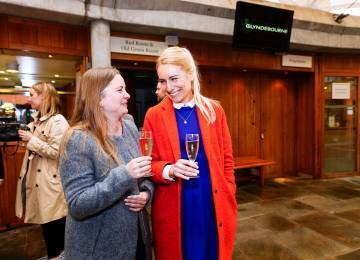 Chris Addison, an avid opera fan and presenter of the Glyndebourne Opera Cup, will be returning to Glyndebourne this autumn to present La Traviata: Behind the Curtain. ‘We’re going to see how it’s put together, how it works, why it works, which bits go where and why, and hopefully unlock this big-tuned, bouncy and most beloved of operas for newbies and superfans alike’ says Chris. While the first Behind the Curtain installment used Mozart’s Don Giovanni as a springboard to explore the inner workings of the operatic form, this time we focus on the world in which La traviata was created. Why did the theme of the fallen woman resonate so profoundly with audiences of the 1840s? And what has kept it in the top rankings of the world’s most performed and beloved operas for the 170 years since its premiere? Our search for answers to these and other questions will take us on a surprising journey: one that leads us from the enthralling rhythms of Spanish dance via the neurological effects of watching Verdi to the surprising origins of the paper hanky. No, absolutely not. 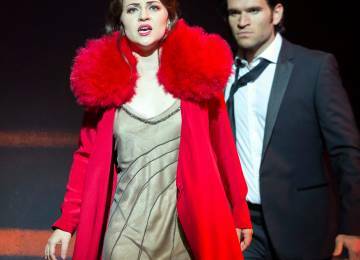 La traviata: Behind the Curtain is a theatrical event exploring the magic of opera live on stage. 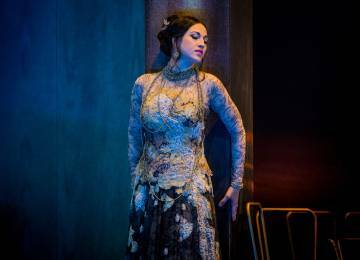 Audiences old and new will have the chance to experience La traviata from an entirely different perspective. Yes. We’ll have soloists, chorus, and an orchestra as well as key production elements of Glyndebourne’s La traviata. Imagine being able to pause a live opera and ask a question or explore how a singer interacts with the orchestra. Will it make sense if we haven’t seen La traviata before? 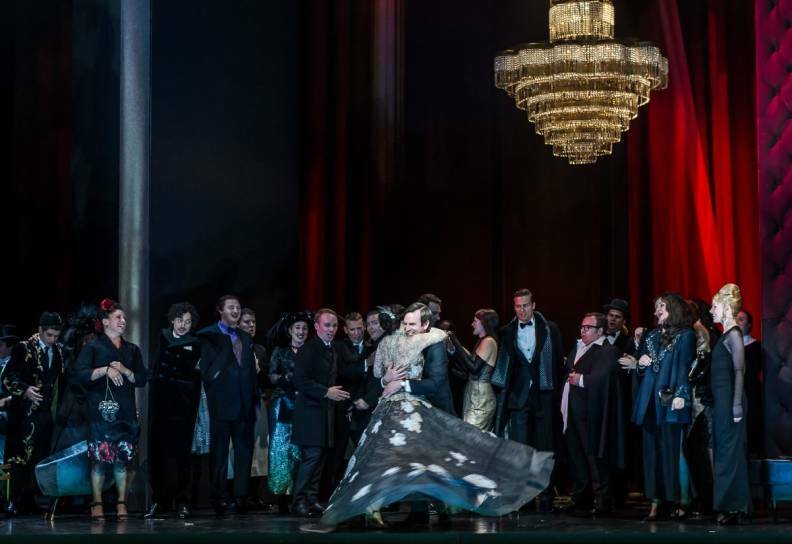 Even if La traviata is brand new to you, over the course of the evening we’ll tell you everything you need to know to enjoy the performance. The event is not a reduced or simplified version of Verdi’s opera however – it is a complete theatrical event in itself. Will there be an orchestra? Behind the Curtain will feature an orchestra of 30 players who will help to illustrate how La traviata’s lush soundscape is created. 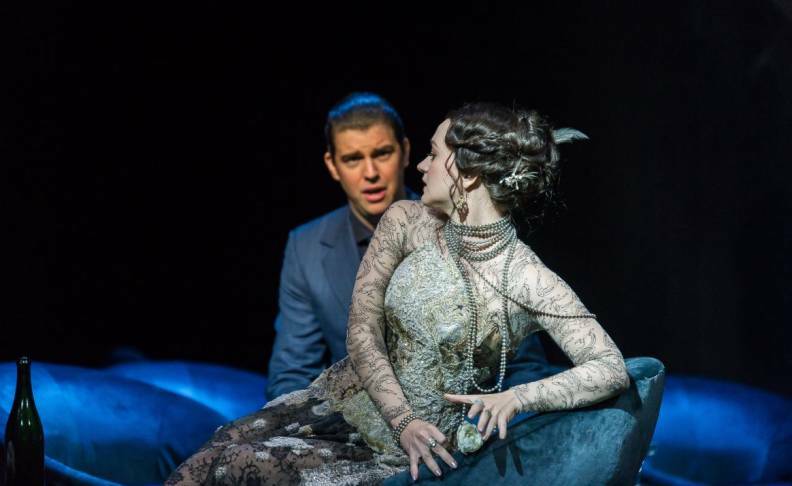 La traviata: Behind the Curtain is on stage at Glyndebourne on 1 November. Explore the characters, music and story and watch extracts of some of the opera’s greatest musical moments.